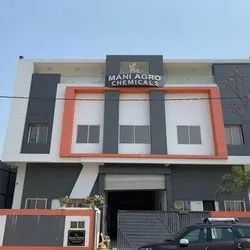 Based at Indore (Madhya Pradesh, India), we, “Mani Agro Chemical”, established in the year of 2010. are manufacturing, supplying and exporting, buying house, trading, wholesaler, importer & Buyer-Company of Bio Fungicides, Bio Bactricide, Amino Acid Mixture Powders & Liquid, Nitrobenzene Emulsifier, Super Potassium F Humate, Potassium Humate, Seaweed Extract, Humic Acid, Bio Stimulant, Plant Growth Regulator (3rd Generation PGR), Bio Organic Fertilizers, Metal Sulphates, General and ETP Chemicals, Liquid Formulations and many other items. These chemicals are also formulated using quality and pure ingredients and by using advanced processing technology. We also offer our customers with free samples as a part of our sampling policy. We are a sole proprietorship firm, engaged in offering our customers with Organic chemicals and Stimulants for the Agriculture Industry. Our unique business approach has helped us to amass several reputed customers based across the country. We are also assisted by a diligent and qualified team of professionals, who always strive to serve the customers by providing them with pure quality Agro Products. In order to provide our customers with value for money, we always ensure that our offered range is also suitably packaged as well as delivered within the defined time frame. Headed by our mentor, Mr. Rahul Pimplakar, we have been consistently growing in our business domain. He holds a rich industry experience and is also backed by detailed knowledge of this field. Being an important guiding factor in all our dealing operations, he has been the source of knowledge for us. Owing to his excellent management skills as well as the execution of changing market strategies, we have been able to mark our strong presence in this competitive business domain. Quality is the vital factor for the success of any organization therefore; we maintain total quality in all our processes. The meticulous quality checking at every production stage ensures international quality of chemicals. Further, to ensure the premium quality of our end products, we use synthetic based superior range of raw materials, which are well sourced by our procurement experts. We are known as one of the leading processors and suppliers of a comprehensive array of Organic Chemicals, Minerals, Agro Chemicals and Stimulants. These are also processed by using premium quality ingredients and are as per the international standards of quality. Due to our finest quality of agro products, we have become a recognized name in the Agricultural Industry. This has also enabled us to enhance the quality of the crops as well as the economy of the farmers.